Burman being bonkers again... everything and the kitchen sink: 'Chal Saathi Chal' begins with a yodel, not necessarily the best of ideas; 'Achhe Bachche Nahin Rote Hain' (ripped off from Rogers & Hammerstein's 'Happy Talk') features ducks. Elsewhere there are a few pleasant pop moments, nothing spectacular. 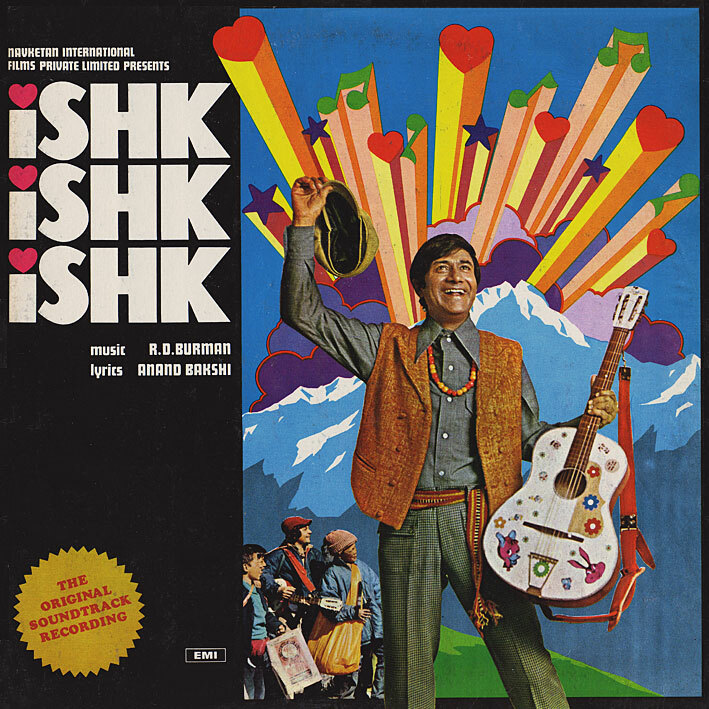 'Ishk Ishk Ishk' is good for a smile I suppose, here and there anyway, but not among my faves. I'm going out for a cold drink. Looks like a fun one :-) and another good cover! Thanks. wow... hope the music sounds like that cover looks! thanks for the post. Cool. Glad I found your blog. Thanks for the shares. I cant wait to give this a listen. Wallah kya nazara hai! Mausam bada pyaara hai! Thank you once again Pc.